Critics might be right that President Trump is more interested in attacking the Washington Post than the Amazon/U.S. Postal Service shipping deal. But Trump is right that the deal is a bad one for the Postal Service and for U.S. taxpayers. As I wrote last September, Amazon has a deal with the Postal Service to handle the last mile of delivery for its packages. 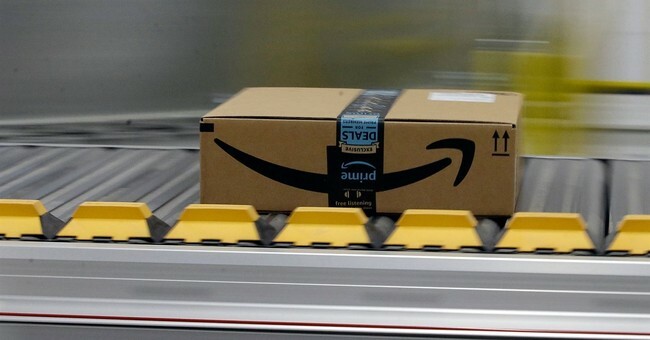 Even though Amazon presorts most of the packages and prepares them for delivery at its depots, the Postal Service has continued to improperly allocate its costs, which has resulted in undercharging Amazon for delivery of those packages by $1.46 per unit. The Postal Service also spent $200 million three years ago to furnish carriers with 270,000 Internet-connected handheld scanners needed for real-time package tracking and $5 billion to replace 190,000 deliver vehicles to better serve the needs of Amazon and other package customers. Everyone involved understands that package delivery is and will continue to be a big part of the Postal Service’s future. First-class mail – the Postal Service’s most profitable product – has declined in volume by 40 percent since 2001 as Americans have learned to pay bills and send party invitations over the Internet and order products to be delivered in packages by the Postal Service. That’s why it is so important to get these deals right. The agency has lost more than $65 billion since 2007 and expects to lose about $6 million more this year. Packages are about a third of the Postal Service’s business now and about a fifth of its revenues. USPS also now delivers two-thirds of Amazon’s packages. Yet it is required to allocate only 5.5 percent of total fixed costs – everything from labor, transportation, infrastructure, sortation equipment, and much more – to packages and similar products. These costs are projected to rise further as larger trucks, higher fuel bills and more demanding delivery schedules are imposed through the Amazon deal. If the true costs were passed along, the Postal Service would need to add $1.46 to the price to break even. It’s certainly a deal that none of Amazon’s shipping competitors can touch. Some, such as Sen. Elizabeth Warren, D-Mass., want the Postal Service to close its shortfalls by potentially expanding into financial services for customers, which could mean providing ATMs and perhaps even making small consumer loans. The suggestions by Warren and others on how to fix the Postal Service point to a reality critics of Trump’s tweets will not acknowledge – taxpayers are on the hook for these sizable losses. The Postal Service has burned through a $15 billion line of credit that it was granted in the last major postal legislation in 2006. It also has not paid a dime of its pension costs since 2011. The Postal Service has three retirement plans with more than $350 billion in assets, but they are invested only in low-interest government bonds. Congress should allow it to investment in a more diversified manner, as is done by private companies and state governments. President Trump is a businessman who knows a bad deal when he sees one. Regardless of one’s suspicions about the president’s ulterior motives with the Washington Post, it is impossible to ignore that the Amazon deal may be driving up volume for the Postal Service, but it is dealing a devastating financial blow. That’s worth addressing no matter what President Trump and the Washington Post think of each other.